Many high end restaurants contact Heritage Frame & Picture Co to have artwork, portraits and professionally photographed pictures installed to enhance their guest’s experience. Carefully chosen custom framed artwork and pictures compliment the decor of the restaurant. In addition, custom art frames also become conversation pieces that make the restaurant more memorable. As one of the leading custom framing businesses in New York, we have worked with some of the most well known restaurants in New York City. We install artwork, restore works of art and provide our custom framing expertise to ensure the frame is consistent with the message the restaurant wants to convey. Custom framed art includes framed works of fruits, vegetables, fish, pasta and professionally photographed signature dishes and desserts. 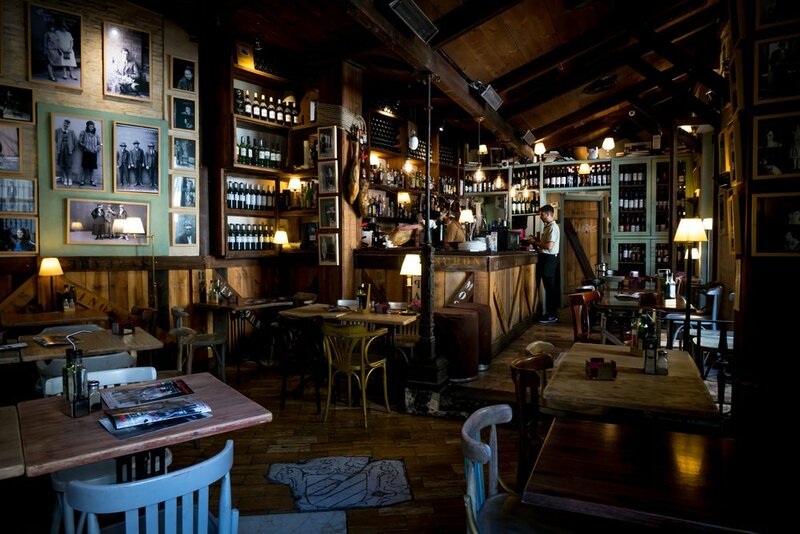 If a French restaurant, pictures of France, the landscape and its people will be included. One of the types o art we at Heritage Frame recommend is something- be it art, framed antique or even a framed sports jersey, that will make a bold statement and be placed in the area most seen by customers. Many casual dining establishments frame their menus as well as 5 star restaurants. Framing menus is also a means of providing diners with a convenient way to view the menu. In addition to framing menus, restaurants also frame the special of the day. To connect with restaurant patrons and for pride of ownership, framed portraits of the owners and the executive chef are custom framed and placed on display in the main dining area. In addition to photographs, hand drawn and painted portraits are also used. Heritage Frame works closely with restaurant owners, managers and interior designers to select the appropriate frame for the restaurant. Beyond considering the decor, the art frame should also reflect the environment it is being used. For instance, if displaying art in the front of the restaurant where people tend to touch the frame, we would suggest a dark wood frame which is better for fingerprints. Also to be considered is the matting and the glass used. Heritage Frame has worked with restaurants throughout Manhattan, City Island, Westchester County including Chappaqua, Pound Ridge, Tarrytown, Scarsdale, Armonk, Rye and White Plains. We install the artwork so it is safe and will not easily come off the wall. We are aware that customers, especially children, like to touch the frames so we install them safely. We have installed hundreds of custom framed art work, portraits, memorabilia and antiques in one restaurant alone. Therefore we, know how to work with your team to have the art framed and installed on time and in accordance with your schedule. Heritage Frame’s main custom framing buyers comes from corporate, commercial and industrial framing clients. Very few custom framing shops have our experience and almost none have been in existence as long as we have. Heritage Frame is a 4 generation custom framing, art restoration and art installation shop. Our first business was opened in 1878 in lower Manhattan, in the Wall street district. In the more than 140 years Heritage Frame & Picture Co has been in business, we have tens of thousands of customers and have made lots of friends. We value building relationships and providing excellent customer service. And our framing work is great too. If you are interested in a FREE custom framing quote for your restaurant, bar or lounge- feel free to call Ted Howell. Ted is the owner and has been in the family business since he was 8 years old. Give Ted a call at (212)233-3205 or (914)332-5200.